A glance at the past – the first Mexican credit cards: The Diners Club Card, which debuted in 1950, was inspired by an “a-ha” moment when a businessman named Frank McNamara forgot his wallet while attending a business dinner at a luxurious New York restaurant. McNamara later returned to the restaurant with a small cardboard card and a proposal that resulted in the Diner Club. 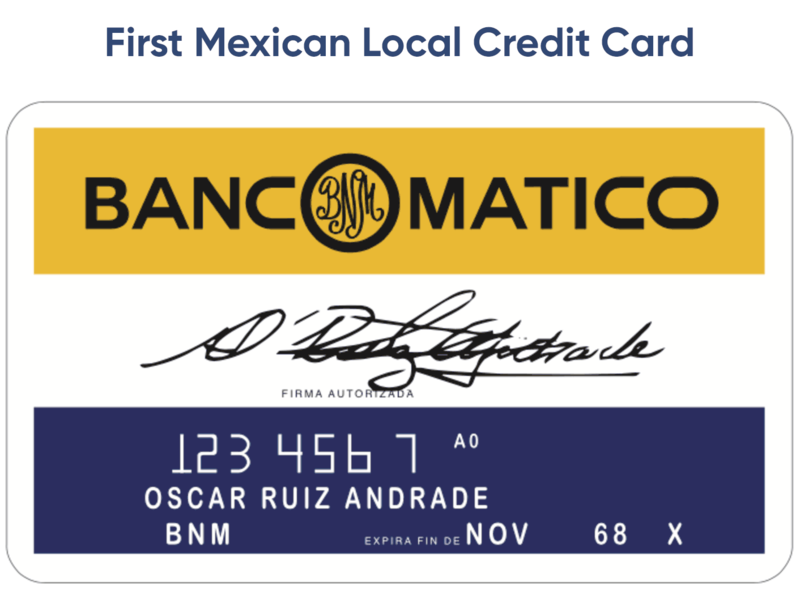 It was 18 years later, on January 15, 1968, that the first local credit card was introduced in Mexico: Bancomatico by Banamex in association with Interbank which later became Mastercard. Bancomático was also the first credit card in Latin America. Bancomer, Banamex’s main competitor, soon followed, launching in that same year a credit card in association with BankAmericard (Visa). The year of 1968 was historic for Mexico, the country hosted the first Olympic Games in Latin America. In that same year a consortium of Mexican banks founded PROSA, through which they launched another card they called Carnet. Today, PROSA is the main payment processor in Mexico, operating around 3.6 billion transactions annually which puts it among the top 10 payments companies in the world, second in Latin America just behind Cielo in Brazil. According to the Central Bank of Mexico, the ratio of credit cards to debit cards in the country is 1:4. There are currently 137 million debit cards circulating in Mexico, 80% of those are used for payroll payments, not for shopping; against 33 million credit cards. The largest credit card issuers are BBVA Bancomer and CitiBanamex, followed by Santander, Banorte, HSBC, Scotiabank among others. What is an acquirer? Why is it necessary? The card schemes. They are responsible for establishing the operative and financial standards that the issuing banks must comply to issue cards. The card issuing bank. Apart from issuing a credit/debit card, it is also responsible for paying the merchant the due amount. The acquiring bank. It provides a bank account to the merchant on which the funds will be transferred from the issuing bank. Payment processors. They are the entities that connect the acquiring banks to the card issuing bank. They are also in charge of processing the payment on behalf of the merchant. A credit card in Mexico can be Mastercard, Visa, Carnet or Amex. Any Mexican bank can issue credit cards and provide payment services to stores. Today, PROSA and E-global are the two payment processors that operate in the country. Then, why do I need EBANX? What are the advantages? The credit and debit card payments environment needs an effectively connected infrastructure in order for a transaction to be successful, since it moves through each of the entity’s channels which ultimately determines the fulfillment of a transaction. In Mexico, credit and debit operations are processed and cleared through the two main payment processors: PROSA (a conglomerate formed by Santander, Banorte, HSBC, Scotiabank among others) and E-global (a conglomerate of banks formed by BBVA Bancomer and CitiBanamex). EBANX connects you to these local payment processors obtaining the benefits of local acquiring in Mexico. Local acquiring really means that the acquiring bank and the issuing bank are in the same country allowing for a higher level of trust between each other which will ultimately uplift your approval rates. Let’s dive into the details on the benefits of local acquiring. With local acquiring, you can accept credit and debit cards. These are many times declined when used internationally; and debit cards might not be even authorized for online shopping, as they are generally associated to the bank account where the account holder receives his salary, that is why Mexican banks are very cautious with their use. EBANX has a close relationship with Mexico’s largest banks, which allows us to approve certain BINs (the number on the card) that would otherwise not be allowed to transact online. It is important to mention that PROSA (the main payment processor) in an aim to stand out the local Mexican identity is re-launching its brand, Carnet, which today has 9 million issued cards, and has the ambitious goal of reaching 30 million by 2022. This card issued locally, is accepted in the domestic circuit. According to the Mexican Association of Ecommerce (AMIPICI), 60% of Mexicans make purchases from abroad and that same percent prefers to pay with installments rather than having free shipping or discounts. EBANX local acquiring allows you to offer installments in Mexico by splitting the payment of your customer in 3, 6, 9 and 12 months, but you still receive the total funds once the payment is confirmed. According to LexisNexis, fraud in cross-border transactions is 2.5x greater, and Cybersource reports that 14.3% of all orders in Mexico are rejected due to fraud suspicion and the chargeback rates in cross-border are in average 1.9%. 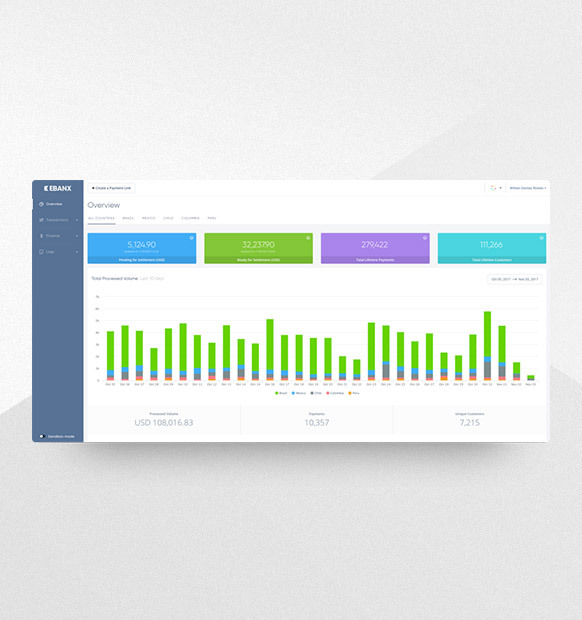 EBANX uses effective fraud prevention tools to mitigate fraud attacks, safeguarding your store’s reputational and economic costs. Since we are local acquirers, local security filters are more lenient than those for international acquiring. We are able to avoid false positives and execute an exhaustive analysis of the behaviour of Mexican consumers using local validation tools. This also allows us to decrease friendly fraud and false positives, therefore this will have a positive impact in approval rates. At EBANX we have multiple acquirers, which allows us to enhance approval rates. How? With smart routing. We send the transaction through the acquiring channel we know will have best response. Approval rates are optimized when the card issuer bank and acquiring bank are the same. That is to say: a BBVA Bancomer issued card routed through E-global, assures you a better approval. EBANX average approval rates for Mexican credit cards is 75% and 60% for debit cards. Acquirers in Mexico have a strong control of the payments ecosystem. Transactions that go through the local channel are cost-efficient and cross-border fees do not apply. Also, customers are able to hedge for FX rate fluctuations, you do not have to physically establish in Mexico and we offer a special service where the billing descriptor is also the name of your store, this allows for transparency and chargeback decrease. Find out more about credit and debit cards in Mexico directly from an Mexican business expert.